The focus of this teaching package is on the practical aspects of linear dynamic analysis (with OptiStruct), i.e. what kind of solver settings are required to run dynamic analysis. The finite element program used is OptiStruct. The theory behind this method is deliberately kept very short. 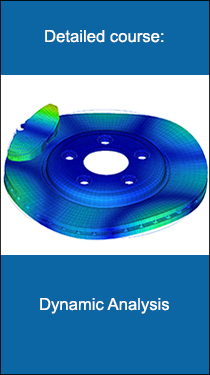 The teaching material may be used to educate undergraduate/graduate students with some experiences with Finite Element Analysis. Students attending the course should have basic knowledge of the programs: HyperMesh (solely used to define the solver settings), OptiStruct (for analysis), and HyperView for post-processing. 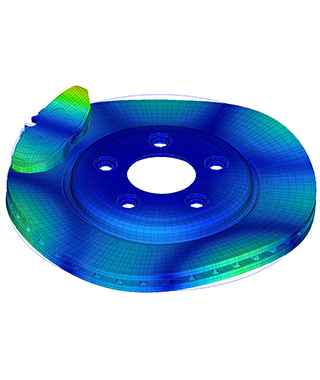 The duration of this course may vary between a few hours (illustration of the Finite Element Analysis workflow) up to 40 hours or more – strongly depending on the number of exercises, homework assignments (Capstone Projects), presentation and discussion of results and so on.